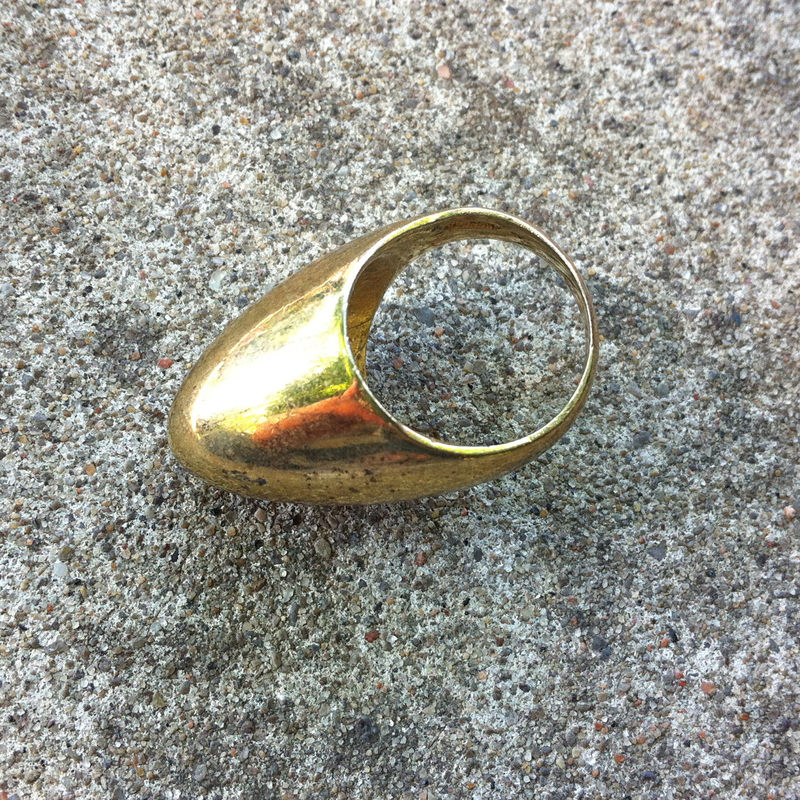 Above: A sterling silver, gold-plated extreme dome ring marked with what looks like a croissant and the initials E.R. Haven’t found any matches with designers on the internets yet, but patience, my pretties. 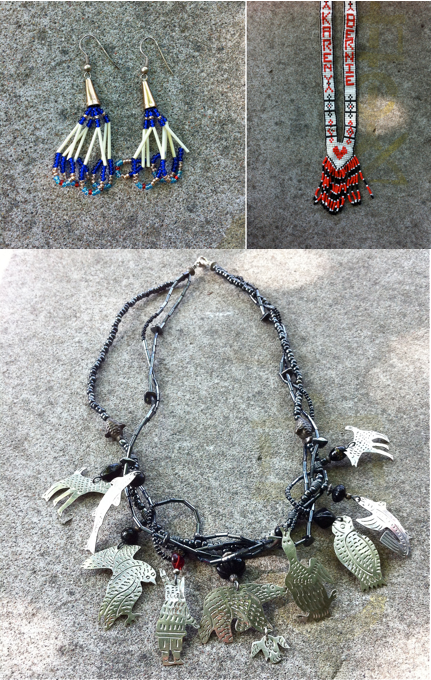 Below: A pair of porcupine quill and seed bead earrings; a seed bead, loomed necklace commemorating the love of Karen and Bernie; and a very unusual glass bead necklace depicting an Arctic wildlife scene, with hand tooled metal pendants of a dog, a salmon, an eagle, an Inuit hunter, a polar bear with a little owl dangling from its paw, a goose, another owl, an arctic char and a wolf. I like that the hunter is suspended from a red glass bead, while everything else is black or silver. It’s so weird, I fell into an infinite Google hole trying to figure out who made it and why.